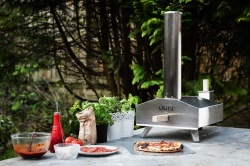 Uuni 3 Cover/bag is... exactly what it sounds like..
Users of Uuni 3 will know it truly is portable - we want you to get the most out of your wood-fired oven so have designed this simple bag that means you can easily transport your Uuni 3 and cook wherever you like! 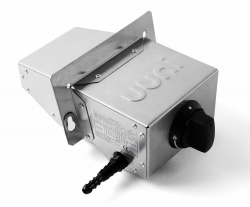 When in the cover mode, you can pull it on top of your Uuni 3 to protect it from the elements. It's been life tested in Scotland, arguably one of the most demanding environments known to man. Alternatively use as an open topped carry bag to transport your Uuni in the car .... whether going to the beach, camping or a tail gate event. Size: 41cm x 24cm x 4cm (boxed).